LOVE. GLAMOUR. SECRETS. Rome, 1961. As the cameras roll on Cleopatra, the world is transfixed by the love affair emerging between Hollywood's biggest stars: Richard Burton and Elizabeth Taylor. But on the film set, tensions are running high. The money is running out, and a media storm is brewing over the Taylor-Burton relationship. When historical advisor Diana Bailey starts work on the film, she wants nothing more than to escape from her own troubled marriage and start anew. But as the heady world of Hollywood envelops her, secrets begin to emerge in the cast and crew. Is everything as it seems? And what really hides beneath the glamour of the famous film? 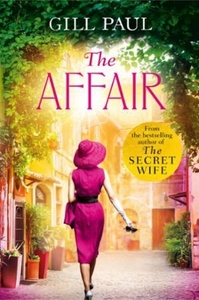 An enthralling story of love and passion from the bestselling author of The Secret Wife, set against the stunning backdrop of one of the most iconic Hollywood movies ever made.